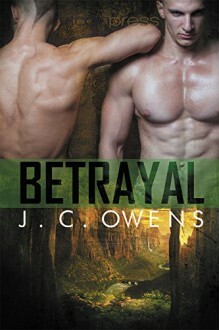 Secrets, madness, lies…and a love forged in the flames of betrayal. Imprisoned, starved and abused by his captors, Darcel finds his only escape in the depths of madness. But he’s tormented by his own demons, who taunt him with the memories of his past and of his beloved prince, Alasar of Rais. The man who condemned him to this prison for killing the enemy’s high king. The man who betrayed him, when he should have returned a hero. After three years of torment, Darcel is about to give up, to turn himself over to the demon for the blessed release of death. Until he hears the pounding of boots up the prison stairs and finds Alasar in his cell, overjoyed at finally finding him, distraught at his condition, and desperate to save him, with no knowledge of how his friend had come to be there. After tending his wounds, Alasar transports Darcel back to the palace by sledge, no easy task since it’s deep winter and Darcel is barely alive. But when the enemy raiders attack their party and capture Darcel, it’s clear they seek vengeance for the murder of their king. Until their new king, Harlech, explains that Darcel was not captured, but sold to them. By Alasar. Caught in a tangled web of secrets, lies, and betrayal, Darcel does not know whom to trust—or whom to serve. With two warring leaders both demanding his loyalty, and both men earning his love, how is Darcel supposed to know what’s real, or where his heart truly lies?